TR3650 Fluid Level Discrepancy Cleared Up! Thread: TR3650 Fluid Level Discrepancy Cleared Up! A person on another forum questioned my statement that the fill level was lowered by 3/4 inch only on the 2001-2004 TR3650 transmissions because his 2009 Ford Service manual indicated that his fluid level should be lowered as well. The official revised TR3650 fluid capacity is 3.0 Liters, or 3.2 Quarts for both the early and late designs. 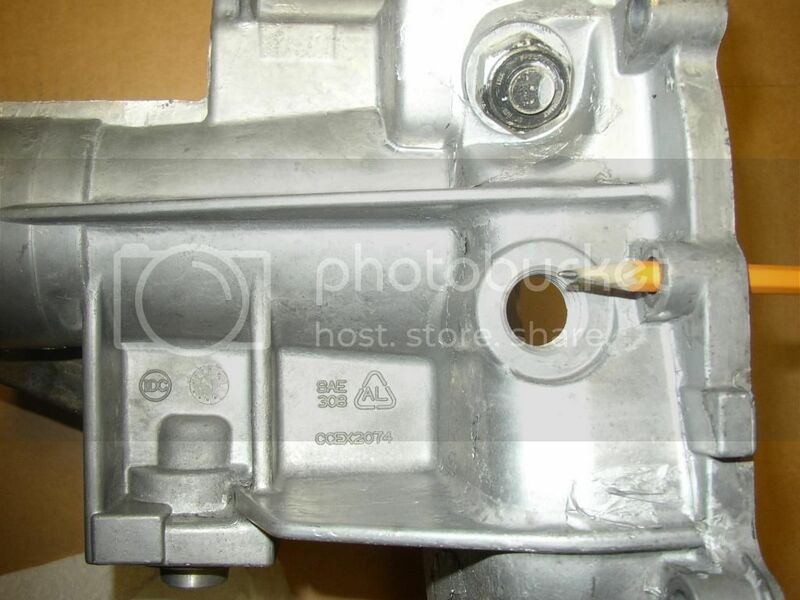 Here are the photos showing that it is not necessary to lower the fluid in a 2005-2010 TR3650 because the fill plug was lowered in the newer design TR3650. First is a 2001-2004 tail housing. The pencil is in one of the bolt holes. 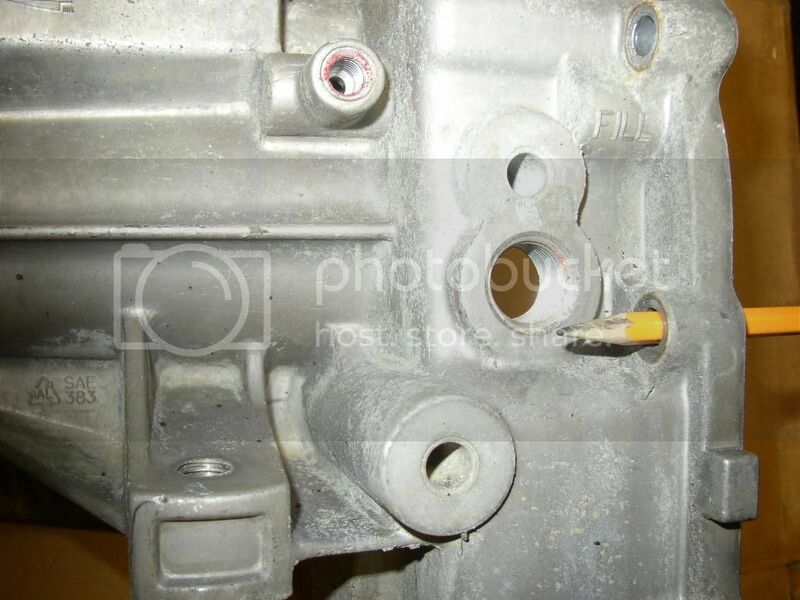 The positioning of the bolt holes is the same for all of the TR3650 series. You can see that the fill plug is above the pencil. Next is a 2005-2010 tail housing. The pencil is in the same bolt hole. You can see that the fill plug is below the pencil. The difference appears to be about 3/4 inch. His Ford service manual is INCORRECT! Last edited by SPeace-ATL; 12-17-2014 at 09:01 AM.